Start your resume with your contact information at the top of the first page. Be sure to include your complete name, email address and phone number. It is no longer ideal to include your address. When using your email address, make sure it is professional and not something you would only share with your friends. This minor detail will be used during the first impression. Traditionally, objectives have been used in resumes. However, our opinion is that they should be avoided and instead include a summary of your skills. If you chose to use an objective, make sure it is consistent to the job which you are applying. If you are applying for a Receptionist job in Downtown Houston, you do not want your objective to state you are looking for an Administrative Assistant position in North Houston. If your objective does not compliment the job to which you are applying, it will likely not be considered. A summary of your skills can include a few short statements about your overall experience. If you prefer to have an objective focused resume, consider having multiple resumes for each different type of position to which you are applying. You can have a receptionist focused resume and an administrative focuses resume. Make sure all of the information on both resumes is completely accurate and not misleading. 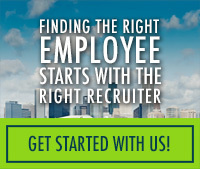 Be sure to include the months and years of employment for each employer. If your resume shows the years only, many hiring managers will not consider moving forward with the applicant. It’s too vague and does not answer many questions about tenure. Be sure to use the same font consistently throughout the resume. The only time you would use a larger font is possible for your name on the first page. Italics should be avoided as well. Make your resume format clean and easy to read. Bullet points are ideal when listing requirements. Sentences can offer too much information and be hard to read. Also, be sure not to include multiple spaces throughout the resume. If you are an entry level candidate, a one-page resume is recommended. If you have closer to 8 years of experience or more, it is acceptable to have a two or three-page resume. Do not go past three pages unless one of the pages is an additional document to be included with your resume, (writing sample, reference list, etc.). In most circumstances, you should always include all of your software experience on your resume. Take time to type out the complete program names. For instance, do not state MS Office. Instead, state the full names and make sure they are spelled correctly; Microsoft Word, Excel, Outlook, PowerPoint, etc. Your resume will likely go into a database that will search for key words that match the job description. If Excel is required and Excel is not on your resume, you likely will not be contacted for that particular position. If your resume states you have a certain number of years of experience, then your resume should support that statement. Do not say you have over 20 years of experience and then have your resume reflect only 10 years of experience. If you have a skill set that is required for a particular position, it must be listed on your resume. Telling a recruiter or anyone during the interview process that you have the experience but it is not on your resume is completely unacceptable. It’s also hard to believe. You should take the time to read the requirements and make sure that you have listed them in detail on your resume to match the job description. Keep in mind that if you do not have a particular skill set that is required for a position, you should keep it off of your resume. Cover letters should be avoided unless requested in the job posting. You should also follow the directions for applying. If the posting request that you send your resume in MS Word format, make sure you do not apply with a PDF version or a photo of your resume. Pictures/photos of resumes are completely unacceptable and will likely be deleted immediately. Honesty is always the best policy. Almost everything can be confirmed during the screening process. If it appears you have been misleading or eliminated information, you likely will not be considered for that particular opening nor any other opening with the organization. Last, but certainly not least, proofread your resume repeatedly. Read it out loud. Read it to a friend or colleague and then ask them to proofread it as well. Typos will eliminate you immediately from consideration for most job postings.